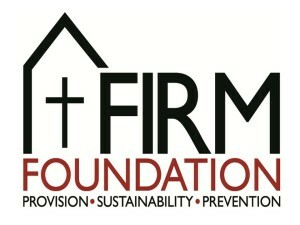 FirmFoundation helps single people over the age of 18 who are homeless in Harrow to get their lives back on track. We do this by providing a Winter Night Shelter, weekly drop-ins with hot food and a shower, signposting to specialist support, and a small amount of supported accommodation. We are a registered charity, with a Christian heart and ethos, funded largely by grants and donations. Although quite small, we have now reached the point where we need paid administrative support, especially in the area of finance, and we are therefore looking for someone who can combine our concern for the homeless with the skills of a Charity Administrator. Much of the focus of the role is on financial management so please be aware that you will only be considered for interview if you have demonstrable experience of book-keeping and the preparation of financial reports. Experience of working in the charitable sector would be a bonus. If you would like to know more about the role, please email firmfoundationchair@gmail.com to request a copy of the job description and person specification. All applications must include a full CV, together with a covering letter explaining how you believe that you match the requirements of the role. These should be emailed to firmfoundationchair@gmail.com by 5 March 2019.